Welsh Stonework have experience not only in stone work, we also offer general builders services. With years of experience in different home improvement projects Welsh Stonework can ensure you a quality project from start to finish. Local to Neath Port Talbot we are passionate about supplying good quality general builders services in the Neath Port Talbot Swansea Areas. Maybe it’s an extension or new porch we have a portfolio we hope you will be impressed with. We tend to find a lot of customers are local Neath Port Talbot clients we have already supplied our general building services for in the past. So we hope that after finding your way to our website that your next decision will be to give us a call and let us give you a pleasant surprise with our very competitive prices. 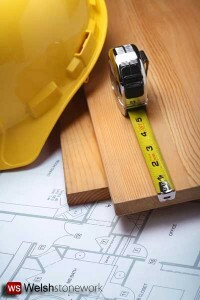 As an experienced company we are well equipped in advising and undertaking all kinds of building projects. We work closely with the client sharing our knowledge and expertise and assisting them through the whole planning application process to ensure the desired results are achieved. Welsh Stonework can undertake both residential and commercial building works. Our team of experienced individuals including surveyors, project managers and in-house tradesmen aim to provide the best quality of service possible to ensure that building projects are completed on time and within budget. Call Today on: 07916 729 983 to discuss your requirements. Alternatively please use the contact us page.